How do the issues in yesterday’s blog work in the real world ? « How much vinyl can you stock if you aren’t paying for it ? The impact can be shown in two simple examples. 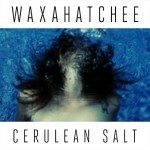 Avalanche raved about how good Waxahatchee were even before they had signed a UK deal tipped off by one of our customers. After the initial order including customer orders we could only stock the limited edition blue vinyl of the new album one at a time. Price should be £14.99 but with the small discount we received it was £13.99. On a visit to FOPP they had three copies at £12. The weekend before last I accidentally got a double order of Universal vinyl. I’d bravely plumped for getting two copies of Nirvana’s “Unplugged” on vinyl but ended up with four. I sold two copies on the Saturday and one each on the Sunday and Monday. Of course those last two sales wouldn’t have happened if there hadn’t been a double order. As it turned out I had 5 extra sales because of stock I wouldn’t normally have had. Multiply that by all the stock we would like to have in bigger quantities and the difference becomes immense. Add in the customer order we had for the new Clash box set that we couldn’t fulfill because it was out of stock (but plenty in HMV and FOPP) and allow for how often that happens and lost sales just keep piling up. HMV chairman Paul McGowan was quite right to say they should carry more stock and that is easy to do if stock is consigned but for an indie to gamble a catalogue album will sell in a sensible time frame would be madness. In particular while CDs are still the largest physical format by a country mile it is very hard now to judge their sales in what is an ever declining market. So by no means a comprehensive look at the problems that have arisen since the Hilco take over of HMV and FOPP but certainly a snapshot.